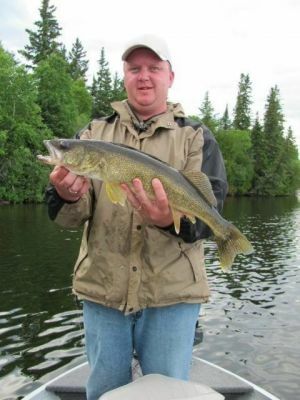 With some cooler overnight temps, lots of rain and some cloudy skies, water temps have dropped about 10 degrees and the walleye have certainly noticed. The fishing the last two weeks has gone from good to fantastic. With the girls and Megan’s boyfriend Cody here for just one last week, we have been trying to take some time to spend a little more time on the water ourselves and with great success. The last two nights out, totaling about 4 hours of fishing, with three of us in the boat we boated right around 75 walleye. We fished nothing but jigs and minnows until the minnows ran out and then noticed a SIGNIFICANT drop off in productivity when we switched over to plastic. There are an incredible number of walleye now lurking near cabbage weeds on deep edges from 11-13 feet of water (fow). 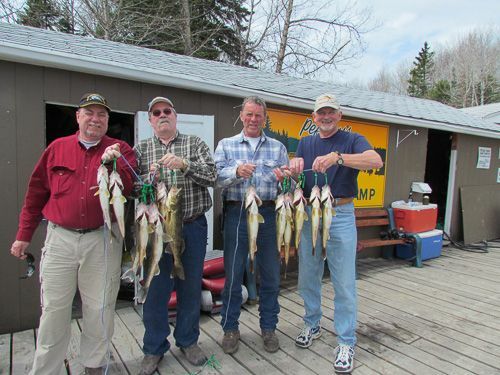 As Ron Lorman said this week, we “couldn’t keep the walleye off” as they fished a point near camp early in the week. While bigger fish are being taken in slightly deeper water 15-23′, we are seeing a lot of 16-20″ fish being caught from the weed beds. The three generations of Gatton’s, led by 89 year old Bob Gatton, a 40 plus year veteran of the camp, simply caught fish “everywhere” they went, BUT may have had their best fishing in the bay right outside my office window in the bay just South of camp. I thought it odd to see a marker buoy in the bay, I later learned the reason why. 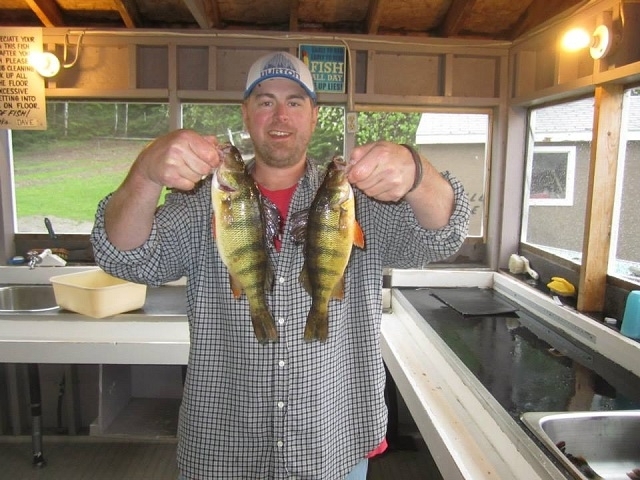 With fishing this good in early August and temperatures looking like they will remain somewhat on the cooler side, I expect an outstanding finish to the season. Camp will be loaded the rest of the way with lot’s of experienced fishermen so we should have some great reports for you coming up soon.